Stu & Jess's Bridal Session // Wood Water Co. 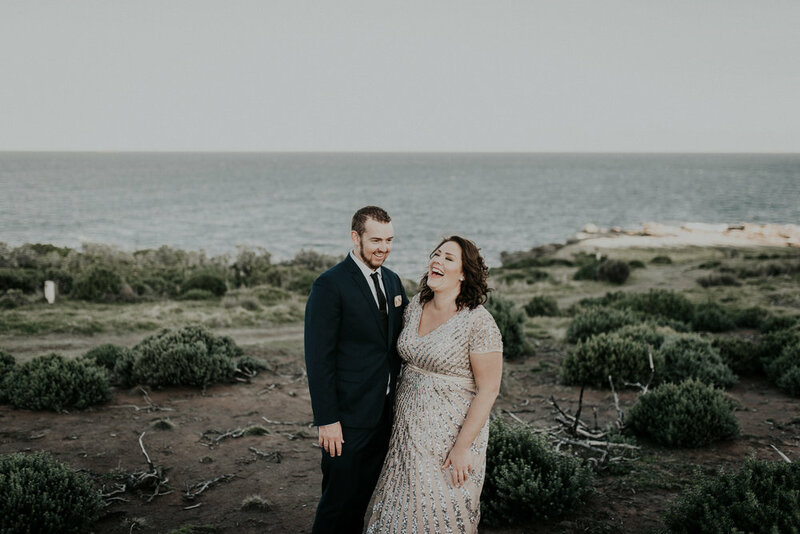 These two lovebirds eloped in New York earlier this year but Jess thought they needed a more Australian experience as well! So Paris & I took the newly-weds for a little adventure in our favourite location between Caves Beach and Catherine Hill Bay. With the gorgeous last moments of sun for the Autumn day we explored the fire trails and cliff faces of Pinny Beach. And gosh these two know how to have a great time - it was hard to fit in any photos at all with all the laughs! Congratulations guys!! Between the Australian beach and Manhattan streets you've covered it all.